"Butterflies are not insects," Captain John Sterling said soberly. "They are self-propelled flowers." 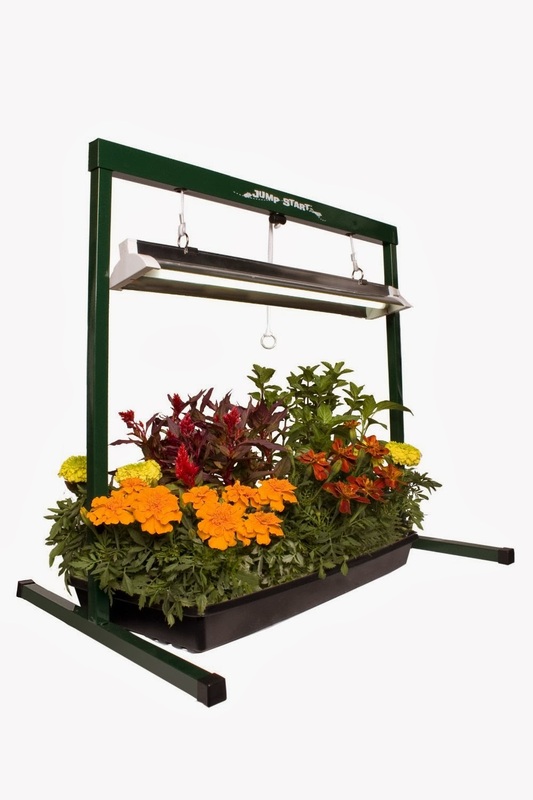 If one is interested in producing copious amounts of plants for the garden at next to nothing cost once the initial tools and supplies are purchased, germinating seeds under lights is the way to go. Also, one can get a jump on seed planting with this method, thereby not being saddled by the restriction of seasonal growing constraints. Not only that, but you get to choose what species and varieties to put in, not what the nursery store manager or corporate purchasing agent thinks you should buy. Some of the plants I plan on incorporating into the butterfly garden are impossible or next to impossible to find in the average local nursery. Online seed catalogs give me the advantage of picking and choosing some very choice plants for only a small pittance of the cost for a packet of seed. Home Depot and Lowe's also carry these trays. They come with a 72 cell insert that nestles into a water tight tray, and rakishly sport clear plastic domes to help retain moisture. All I needed next was some seed starter soil. I bought Jiffy's brand of soil. It seemed to be the best one out there of the various brands I looked at. The Miracle-Gro brand had several bad online reviews regarding infestations of Fungus Gnat flies, so apparently their product wasn't well sterilized - if at all. The Miracle-Gro bag I hefted at Home Depot seemed awfully heavy to me as compared to a couple of the other brands I lifted. The Jiffy brand was very light, consisting of a fine, even texture. Some of the other brands felt too coarse for germinating seeds in smallish cells. 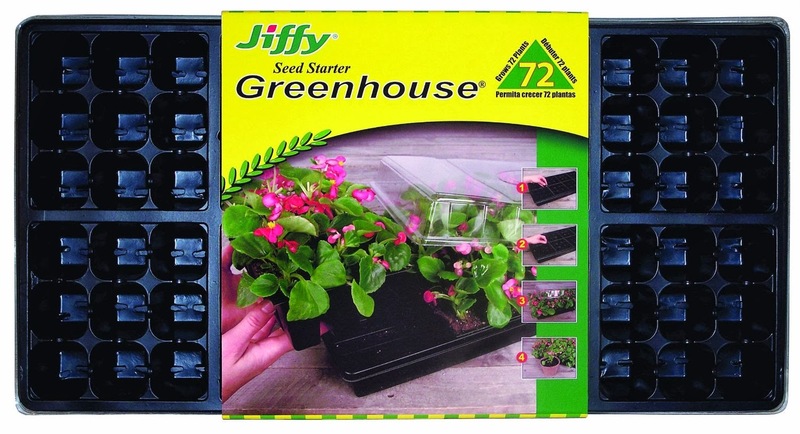 We'll have to wait and see how well the seeds germinate in the Jiffy brand soil before it can be considered a success or not. A mat really isn't necessary for me since I set up a germinating table indoors where the ambient temps are moderated, but in a shed or garage situation, I would recommend one if planning on going this route. Two reasons I purchased a heating mat are, I have a tool fetish that needs to be satisfied, and I'm starting some Tropical Milkweed, Asclepias curassavica as a host plant for Monarch butterflies (which is also a good nectar plant), that needs the extra heat in order to germinate earlier in the season than if I didn't have a mat. Achillea millefolium “Summer Pastels” - This makes for a good nectar source. Cosmos “Sensation” Mixed Colors - Nectar source. Dill “Bouquet” - Host plant for Anise Swallowtail, Black Swallowtail, and Giant Swallowtail butterflies. Nectar source. Florence Fennel - Host plant for Anise Swallowtail, Black Swallowtail, and Giant Swallowtail butterflies. Nectar source. Black Hollyhock - Host plant to various Hairstreaks and the Painted Lady butterfly. Ruta graveolens, Common Rue - Host plant for Anise Swallowtail, Black Swallowtail, and Giant Swallowtail butterflies. Tithonia rotundifolia “Torch” - Excellent nectar plant that sports 3 to 4 inch wide intensely colored reddish-orange blooms. Supposedly deer resistant. Zinnia “Lilliput” Mixed Colors - Nectar plant. "Lilliput" is an excellent butterfly attractor. In the list above, Ruta graveolens is the only seed I purchased online, the rest I found after scrounging around half a dozen different nurseries' seed racks. The next batch of seed will probably be started in February or March, primarily consisting of several different milkweeds that I purchased their seeds online, and a few other species that I'm still ruminating over which to germinate.